How long has AMK Race Products been around, and who founded it? AMK Race Products was officially registered in April of 2015. However, the father and son team of Chris and Alexander Kardashian (co-founders and co-owners) have been racing, tuning, analyzing data, coaching drivers, offering advice, and lending a helping hand since Alexander began racing in 2006. With its roots in Minnesota, AMK markets, sells, supports and races Top Kart karts in the Midwest while also offering apparel, trackside support and driver coaching. 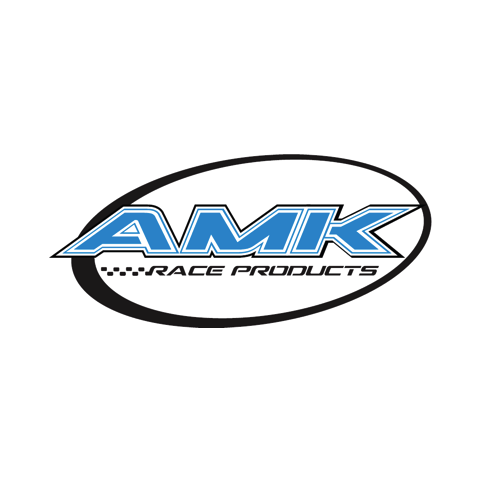 AMK Race Products was formed to provide an outlet to share our passion for motorsports. It’s not a part of our life; it is our way of life. This is our first year sponsoring a WKA event although our main driver, Alexander Kardashian, has been participating in WKA for several years. The need for all things speedy hooked Chris on racing and he shared his passion for it with Alexander. And now, Chris and Alexander want to share their passion with other families and karting enthusiasts. Are there any WKA racers you sponsor and would like to highlight? We have several drivers that are helping us navigate the course of being a new company. AMK-sponsored racers at ManCup Events include: Alexander Kardashian (Minnesota), Brandon Lemke (Wisconsin), Carter Pease (Illinois), Chris Slinden (Minnesota), Jordan Bachmeyer (North Carolina), Kiara Stai (Minnesota), and Nate Dean (Minnesota). What's going on right now with AMK, and where is he company going in the future? AMK Race Products has received the Top Kart USA Top Sales Award every year since its inception (two consecutive years 2015 and 2016). We have our sights set on achieving it for a third time this year and are keeping pace to do so. During this same 2-year period, Top Kart and AMK have become the dominant race package at our local track, Stockholm Karting Center, in Cokato, MN. Is there anything else you would like to add that people should know about AMK Race Products? We work hard. We play hard. We take customer satisfaction very personally.